Lots of recipes call for corn syrup. I learned how to make it many years ago from a cake decorator in Schenectady N.Y. , a great friend of my late Aunt Mary's. Corn syrup is just invert sugar which simply means it won't re-crystallize during the cooking or baking process when used in many candy recipes such as marshmallows and other favorite candy recipes. I think you will be very pleased if you use corn syrup in your recipes and this will keep in mason jars for around 3 months on the shelf. Place all ingredients in a heavy duty non stick saucepan. Clip the candy thermometer to the side. 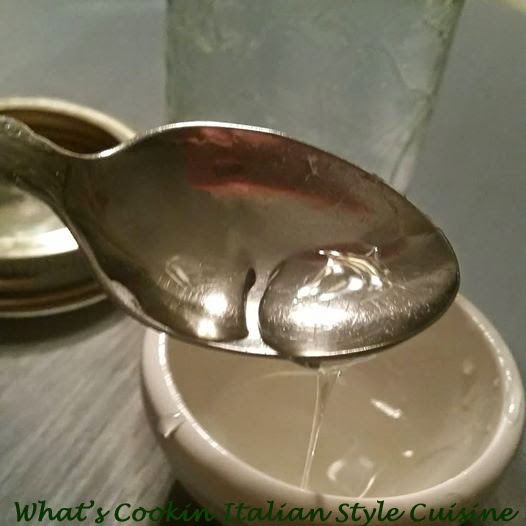 Stir sugar until just moistened with a clean metal spoon. Do not stir again, the sugar will crystallize. Let this come to a boil. Brush down the sides (when it comes boil )with a pastry brush dipped in water to remove any crystals that form on the sides, this will ruin the corn syrup when poured in the jars later if any sugar crystals remain. Do not stir this or it will become a cloudy mess. Continue to boil until the candy thermometer reaches 235 to 240 then remove the pan from the heat and let sit for 2 hours to cool and do not touch the mixture. You must cool this completely. 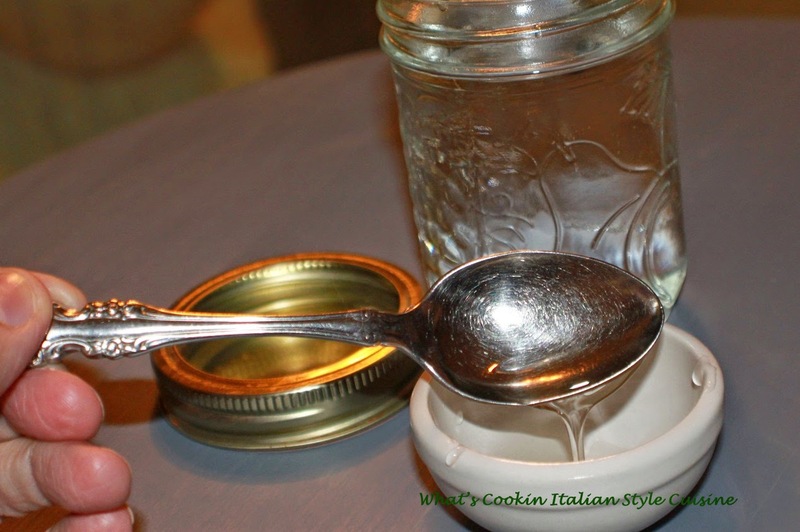 Ladle into 1 cup mason jars. You can store in you cupboard up to 3 months. If the syrup is too thick, microwave the jar without the cover on for around 25 seconds. Makes 1 quart. 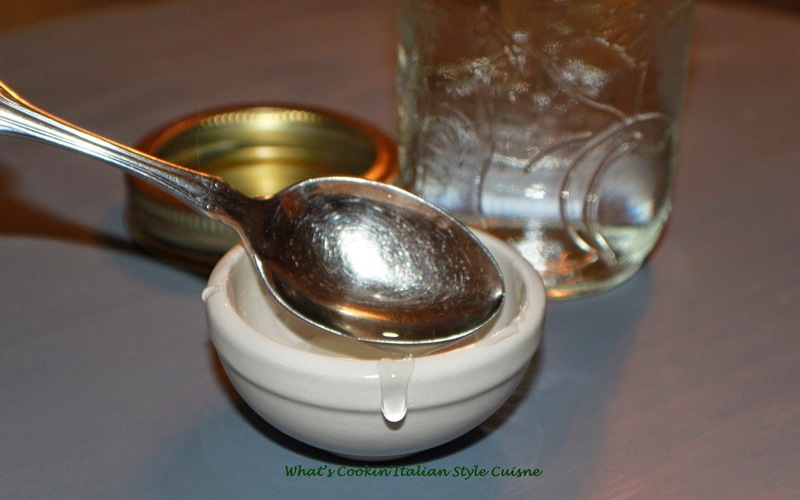 Tips when you need Honey check out my substitutions! DIRECTIONS for Honey in pinch subs for 1 cup honey called for in recipe:. 1 1/4 cups granulated sugar plus 1/4 cup liquid (use liquid called for in recipe). 1 cup light or dark corn syrup. 1 cup pure maple syrup. Who knew you could make this at home! Thanks, Claudia! Not only is this economical, but no HFCS! Thank you for sharing the recipe, Claudia.